Fred Puglisi is a partner in the Century City office and Practice Group Leader of the Business Trial Practice Group. He was recognized as a California Lawyer of the Year in 2003 for his successful defense and trial of a $2 billion class action. Mr. Puglisi has extensive experience in complex and general business litigation in state and federal courts, including class actions. He has conducted numerous trials and arbitrations, including trying class and representative actions. Mr. Puglisi also has broad appellate work which includes arguments to the California Court of Appeal and Ninth Circuit Court of Appeal. He has defended a number of complex class and representative actions alleging various business torts, unfair competition, false advertising, violations of the California Consumers Legal Remedies Act, land subsidence, and others. Mr. Puglisi represented State Compensation Insurance Fund in a $2 billion class action alleging breach of contract, fraud, unfair business practices and breach of the implied covenant of good faith and fair dealing. The matter was tried to the court for seven months and included testimony from 54 witnesses and admission of 1,214 exhibits. On June 17, 2003, the court rendered its 117 page decision and judgment in favor of State Fund on all issues and causes of action. Mr. Puglisi obtained summary judgment in a $200+ million TCPA class action brought against Blue Shield of California. The plaintiff sought certification of a California only class of individuals who were insured with Blue Shield and allegedly “robo called” using a prerecorded message. Plaintiff alleged that the prerecorded message, which directed insureds to look for their renewal information in the mail and to visit Blue Shield’s website for renewal information, constituted telemarketing and that Blue Shield lacked express written consent to send such prerecorded messages. In a case of first impression, Mr. Puglisi convinced the court that the prerecorded messages were not “telemarketing,” but rather informational calls that due to Blue Shield’s status as a covered entity under HIPAA were not actionable under the TCPA. Mr. Puglisi obtained a major victory for Healthmarkets when the Los Angeles Superior Court denied the plaintiff’s motion for class certification in a telephone recording privacy case. Plaintiff sued Healthmarkets for allegedly secretly recording calls with its insureds without notifying them that the calls were being recorded. Plaintiff alleged that this violated Penal Code section 632. Several class action lawsuits with similar allegations have been filed around the state. Many have been certified and several have settled for tens of millions of dollars. The Court, however, agreed that these cases are not appropriate for class certification and ruled that the requirement of proving a “reasonable expectation of privacy” and “injury” were individualized inquiries that preclude class certification. The Court also ruled that the class was not ascertainable, that the plaintiff’s claims were not typical, that representation was not adequate and that class certification was not superior. Mr. Puglisi obtained summary judgment for Torrance Memorial Medical Center in a class action against the hospital. The plaintiff claimed that charging the hospital’s regular rates to uninsured patients was unconscionable and breached the contracts with emergency room patients. Mr. Puglisi successfully defeated the claims, arguing that the emergency room contracts clearly specified the rates charged and complied with California’s statutory regime regarding emergency room contracts. Mr. Puglisi represented the Los Angeles County Flood Control District and County of Los Angeles Department of Public Works in an inverse condemnation and negligence action arising out of the construction of a storm drain in Hollywood. The Plaintiffs claimed the construction resulted in a loss of subjacent lateral support for their property. The matter was tried with the jury returning a unanimous verdict in favor of the County defendants. Mr. Puglisi represented claimant and cross-respondent Syncor in a declaratory relief/breach of contract action arising out of the production of radio-pharmaceutical related products. Hollywood Polymer alleged damages of over $23 million arising out of Syncor's alleged breach of contract. The matter was arbitrated in February 2001, with the arbitrator returning an award for Syncor, including an award of Syncor's costs and attorneys' fees. Mr. Puglisi represented Sprint/Nextel in numerous consumer class actions alleging violation of Business and Professions Code Section 17200, the Consumer Legal Remedies Act, breach of contract, improper imposition of taxes and fees, and assorted tort theories. Mr. Puglisi represented Comerica in a consumer class action challenging the fees associated with the use of debit cards. The case was dismissed before class certification. 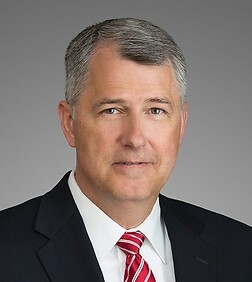 Mr. Puglisi represented The CIT Group/Equipment Financing Inc., in a number of actions alleging conspiracy to defraud, violations of the Federal Racketeer Influenced and Corrupt Organization Act and unfair business practices and fraud under California Business and Professions Code Section 17200. All such matters were favorably resolved to CIT, with CIT paying no money and in some matters receiving its costs and attorneys' fees. Mr. Puglisi represented Gillette in eight class actions filed in California alleging false advertising, unfair competition and violations of the Consumer Legal Remedies Act. Mr. Puglisi represented MCI WorldCom in a class action alleging discrimination, unfair business practices and unfair advertising with respect to MCI WorldCom's international calling cards. The plaintiff sought equitable relief under Business and Professions Code Section 17200 and other monetary relief on behalf of the alleged class. A class was never certified and this matter has since been resolved. Mr. Puglisi represented Wells Fargo Bank in a class action filed by several California corporations alleging breach of contract, fraud, false advertising of business services and unfair competition. A class was never certified and the matter was favorably resolved. Mr. Puglisi represented State Fund in a class action brought by policyholders who alleged that State Fund improperly paid money to Safety Group Administrators, which allegedly resulted in less money being available for dividends to policyholders. The case was dismissed upon State Fund's demurrer. Mr. Puglisi represented State Compensation Insurance Fund in a class action alleging the misreporting of information to the Workers' Compensation Insurance Rating Bureau, the statistical arm of the Department of Insurance. The plaintiffs in this action sought damages totaling over $40 million. Class Certification was denied, affirmed on appeal, and the case was dismissed. Mr. Puglisi represented defendant State Fund in two separate bad faith actions arising out of State Fund's handling of workers' compensation claims during the late 80's early 90's. The matters were tried in 1997, with the juries returning unanimous verdicts in favor of State Fund.